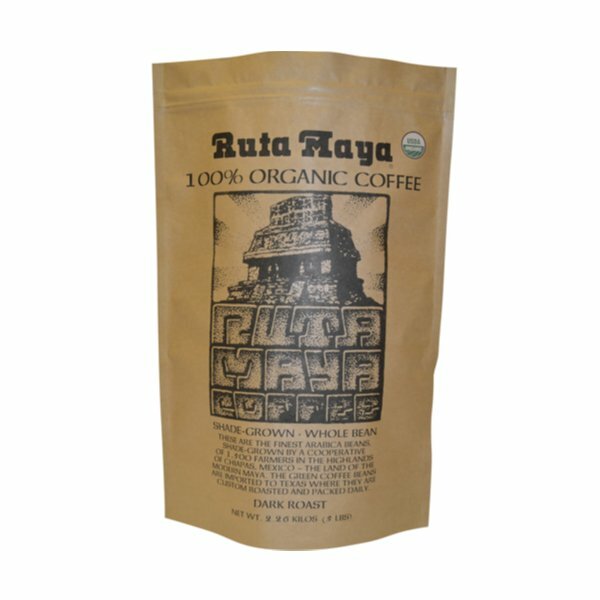 Ruta Maya’s Organic Dark Roasted Coffee is a rich, distinctive and aromatic roast. Smooth flavor with hardly a trace of the bitterness often found in dark roasts. It is certified organic by the USDA and uses 100% Arabica beans shade grown and hand picked by a cooperative of Maya Indian farmers in the Highlands of Chiapas, Mexico. Exceptional richness is derived from ancient growing techniques combined with gentle roasting to extract the ultimate in coffee depth and flavor.